Phosphors of (Y0.75Gd0.25)2O3:Eu3+ (5 at.%) have been prepared through soft chemistry routes. Conversion of the starting nitrates mixture into oxide is performed through two approaches: (a) hydrothermal treatment (HT) at 200 °C/3 h of an ammonium hydrogen carbonate precipitated mixture and (b) by thermally decomposition of pure nitrate precursor solution at 900 °C in dispersed phase (aerosol) within a tubular flow reactor by spray pyrolysis process (SP). The powders are additionally thermally treated at different temperatures: 600, 1000, and 1100 °C for either 3 or 12 h. HT—derived particles present exclusively one-dimensional morphology (nanorods) up to the temperatures of 600 °C, while the leaf-like particles start to grow afterward. SP—derived particles maintain their spherical shape up to the temperatures of 1100 °C. These submicron sized spheres were actually composed of randomly aggregated nanoparticles. All powders exhibits cubic Ia-3 structure (Y0.75Gd0.25)2O3:Eu and have improved optical characteristics due to their nanocrystalline nature. 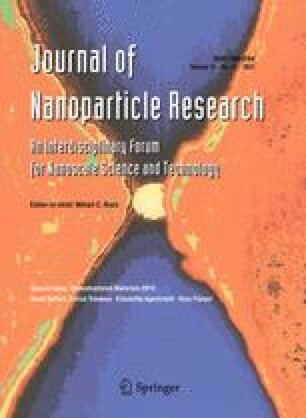 The detailed study of the influence of structural and morphological powder characteristics on their emission properties is performed based on the results of X-ray powder diffractometry, scanning electron microscopy, X-ray energy dispersive spectroscopy, transmission electron microscopy, and photoluminescence measurements.